Nancy Pi-Sunyer is developing a notecard series for her favorite furry friend, for any age to enjoy at every occasion: Mousekin does it all. Don’t miss out on the mighty Mousekin prints and notecards. 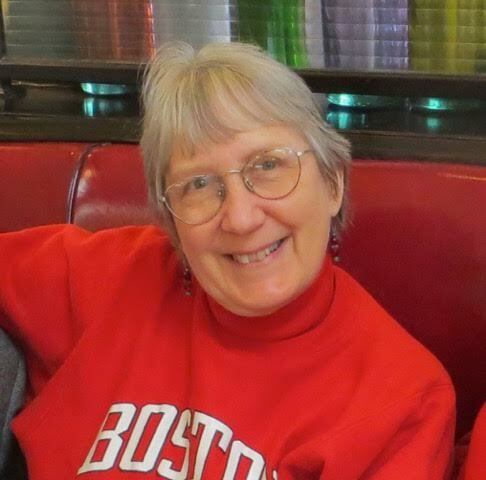 Photo courtesy of Nancy Pi-Sunyer. Remember when you used flashcards to help memorize multiplication tables? Nancy Pi-Sunyer has brought those little guys back in style with her latest product, a notecard series featuring the lovable Mousekin. It all started six years ago, when she taught in the Forestry School at the University of Florida. In order to help her students understand ecosystems, Pi-Sunyer created her own card game called “Copy-Cology.” The cards, which her students often used as a memory game, had different colors and drawings to help them identify plants and animals. 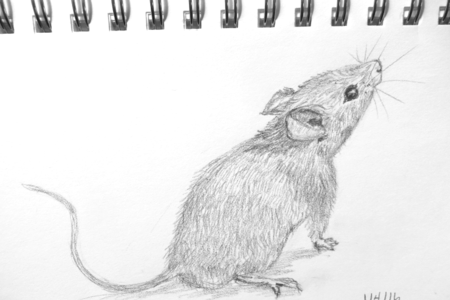 Her latest project, The Mouse Project, evolved out of Copy-Cology, as well as a desire to improve her drawing skills. Pi-Sunyer had been trying to get a children’s book published for years without success. The main character of the book was a mouse. 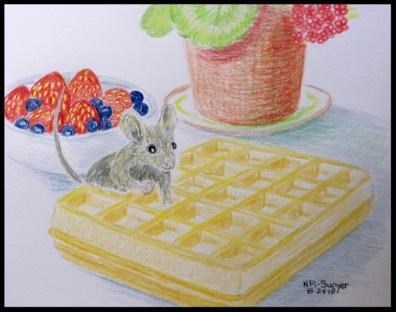 So, on the first day of 2016, Pi-Sunyer promised herself that she would paint, draw or collage a mouse every day of the coming 366-day leap year. The impact was far greater than she expected. Word of mouth and social media promoted “Mousekin” faster than Pi-Sunyer thought possible. Pi-Sunyer has sold several Mousekin prints, but now she is embarking on a new task for her cute companion. She has decided to print Mousekin notecards, in three series: Fine Arts Mice, Native American Mice, and Christmas Mice. The notecards should be available for sale by the end of this week. One can also purchase picture puzzles, which feature Mousekin’s 100th, 200th and 300th reunion (with the appropriate number of mice in each one, no less!). Pi-Sunyer is excited for more people to visit her website – which already has around 8,000 hits – and send her requests for Mousekin products, because she loves creating her furry little friend. At the end of this year, she hopes to hold an event so she can showcase all 366 mice. You can visit pi-sunyernaturally.com to view Pi Sunyer’s work, contact her at pi-sunyernaturally.com/contact.html or e-mail her at npi-sunyer@verizon.net.